My last foray to Cebu was in 2012 and there are so many new things and restaurants and coffeeshops to discover during my trip last September. 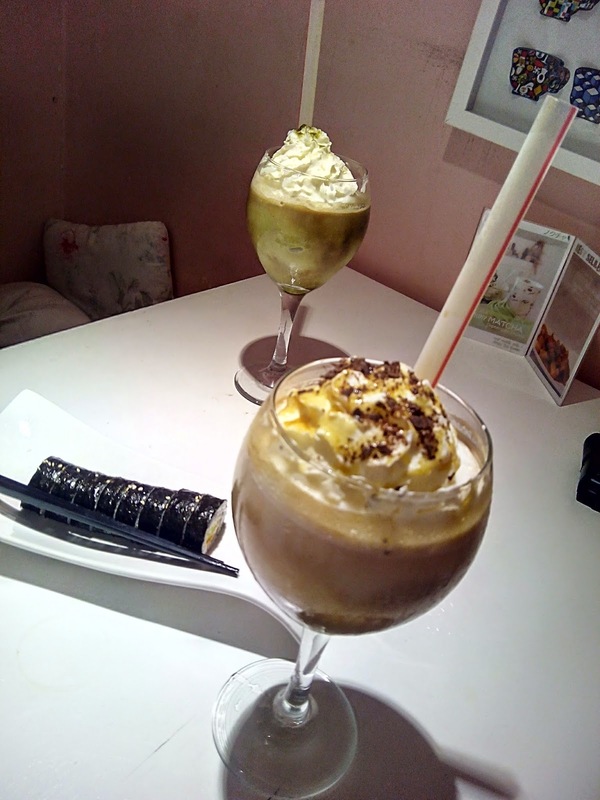 I've made a list of the restaurants I wanted to visit but my friend suggested Cafe Tiala. It also happens that she haven't tried dining at the place yet. Yey! Cafe Tiala is located somewhere in Bray, if my memory serves me right. It is at the second floor of the Forum Building, along Archbishop Reyes Avenue. A bit hard to find so better keep your eyes open for the pink Cafe Tiala signage. There's not much to see outside the coffeeshop, you can even say that its just like any other coffeeshops around. These lovely young ladies humored me by posing in front of the camera. 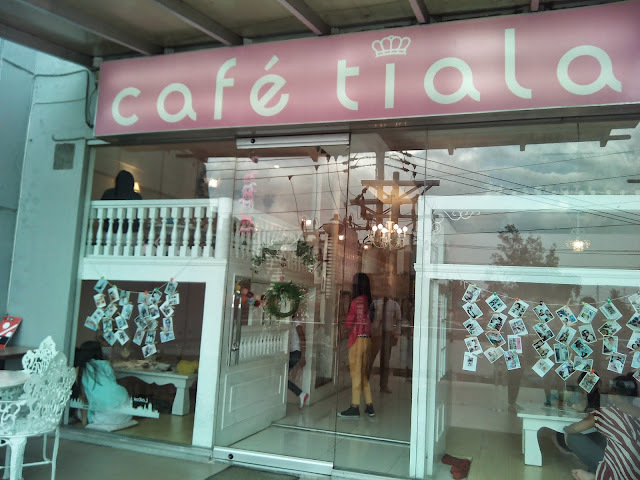 At Cafe Tiala, they have an extensive costumes that you can use / wear for a maximum of 2 hours. 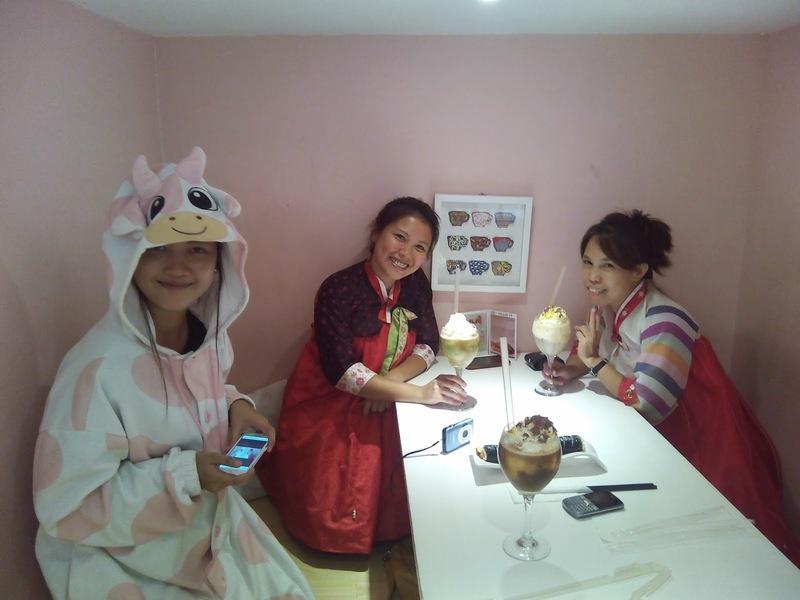 Aside from the usual sparkly princess gowns, there are also hanboks, anime-ish clothes, and cutey animal costumes like the pink cow worn by the young lady on the photo below. The staff are in cute "maid" costumes also. Kawaiiiiii !!! They serve desserts, sandwiches, pasta, kimbap, and even ramen. The food is okay but you won't go there for the food- trust me. It is a nice place to hangout with friends and take tons of photos while wearing crazy costumes. There's a time limit though because the place is very much in-demand especially to teens who usually go there to chill out after school. With me here is my friend's daughter. 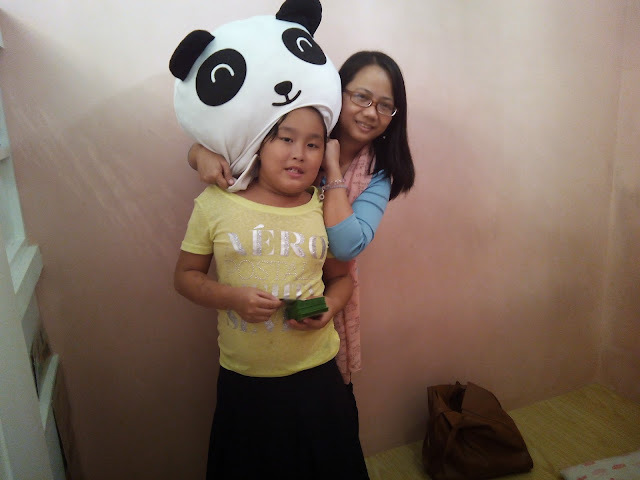 The panda-head was borrowed from the room next to ours. wooowwww! the place is so cute and pretty! i'm looking forward to visit this place...! 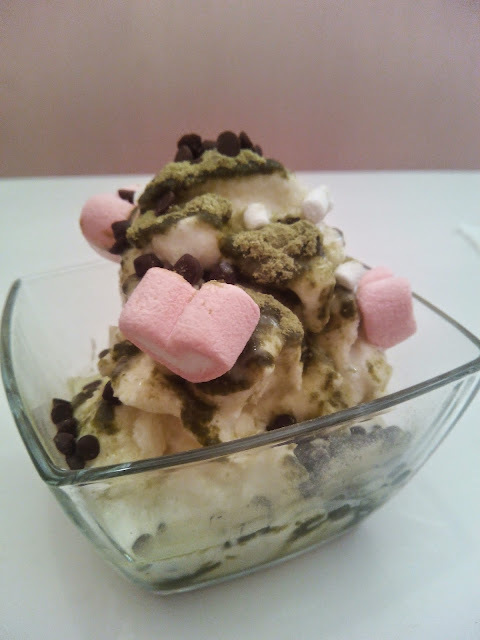 Ay ang cute ng cafe and the food looks yummy! I wasn't able to go on a food trip when I was in Cebu because my son was still a baby (thus malls lang) but I hope I could return soon. So cute and nice name "Tiala" very unique! Wow! Gonna be there soon! Yush!